I was sitting in a police car in a video game. Next to me was a Grand Theft Auto Online fan who didn’t want to play the game the way most people do. Actually, he was doing something the game was never really built for. Plain Clothes Detective ViceCity2012, the officer for my ridealong. 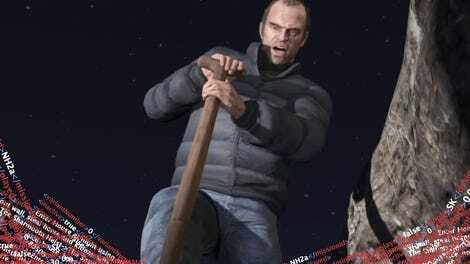 Many GTA fans use the game as a sandbox to play out criminal fantasies. That’s what GTA has long been about. Steal a car. Get chased by the cops. Cause mayhem. Some players, however, want to do it the other way around. They want to play as the law. The series wasn’t built for it, but, with the help of mods, chat-rooms, and some imagination, players of recent GTAs, including the hugely popular GTA V, have found a way to roleplay as cops. Thousands of people use the LSPDFR mod, for example to turn GTA Online into a sort of police simulator. Some do it for the fun of pretending to arrest other players who roleplay as criminals. Others do it to satisfy the fantasy of driving in to save the day. The ones I’ve met do it with unabashed admiration for law enforcement, drawing no connection between their fantasies of what police can be like in a video game and the frequent headlines about police killings of people of color in America or even of the killing of police. They see the police as an occupational archetype, as the kind of people who have the capacity to calm the chaos of GTA Online, where just about everyone else is shameless outlaw. Like most GTA roleplayers and modders, they are an enterprising bunch. They use mods to don police uniforms and drive law enforcement vehicles, some of which are made by fellow fans. They create scenarios such as routine traffic stops and patrols, sometimes even engaging in high-speed car chases. Some players take it very seriously. They use actual police radio codes and follow police protocols (or at least, what they believe to be protocol). They’ll call for backup if they feel like the situation is too much for just one officer. They’ll mutter “10-4" into their microphones. They draw inspiration from their own experiences with police in real life as well as from cop shows and research. Not all roleplayers are focused on ‘realism,’ however, and are more prone to take in-game mishaps, like running someone over, with a laugh. None of the handful of police roleplayers we spoke to said they were an actual officer. A lot of them do like watching the TV show Cops. Because GTA wasn’t built for people who want to play as the police, players have to set it all up for themselves. The form groups and assemble in small shared instances of the game where they act out a script or improv. In a typical roleplay session, some people play the cops, others ordinary citizens. Millions of people may play GTA, but only a few dozen can interact with each other in GTA Online in any given instant. The game groups players into a shared shard of GTA Online’s big map that encompasses the big city of Los Santos and the northern suburbs and mountainside of Blaine County. Players organize to get into the same shards. As they pick tasks, every so often a player takes on the role of dispatch, giving out orders and information to the officers in the field. The citizen players may have directions requiring them to commit certain crimes to get those going, but usually they’ll just play and see what happens. The majority of crimes are improvised, GTA police roleplayers told me. For example, a player in a session could attempt to steal a car and then lead police on a high speed pursuit. The police players would then have to react without knowing where the chase was headed or what the outcome will be. They say it is more fun this way. It adds a sense of surprise and realism to the servers and sessions. Police roleplaying groups usually rotate members into different roles. In one session, a player might be a cop, and in the next session they could be a citizen. Some groups create worlds filled with different jobs and roles, like paramedics and firefighters. Other groups focus on just having police and citizens. In these more focused sessions, citizens are more or less waiting to cause some trouble. They drive around and observe or roleplay a routine, like going to work or getting gas. The real appeal is the moment when citizens and cops interact with each other. Many roleplay groups have senior members who help coordinate all of this ahead of the session. Some players are even assigned ranks, such as Captain or Deputy, which they can use to call the shots in a session. Depending on the session and the platform, players will use mods or chat to roleplay actions that GTA V doesn’t support, like ticketing or arresting players. One of the most popular mods amongst police roleplayers both online and offline is LSPDFR, a mod that turns GTA into a law enforcement simulator. LSPDFR adds new animations, custom uniforms, improves the the AI of the computer-controlled police in the game, allows players to pull over and arrest suspects and more. In an effort to expand their stories, some roleplayers maintain Twitter accounts where they continue to roleplay on a daily basis. GTA Online police departments and city officials will even hold press conferences. Sometimes roleplayers use photos to tell short stories of crimes or events that happen to them, like a visit to the morgue. Even with mods, some actions are not possible. You can’t search a person by patting them down. You can’t lay down with your hands on your head. For these actions, roleplayers use their imagination, often announcing or typing what they’re doing to other players. Onlookers can peer into this GTA Online world thanks to YouTube, where a remarkable variety of police-related videos can be found.In these videos you can see some of the ways police roleplayers like Smith help the citizens of Los Santos. I’ve observed players patrolling streets, helping people with car problems, checking license plates, arresting people and driving them back to the station and more. The people who play as cops in GTA have a variety of motivations. Some players are into the thrill of being helpful. “I have always found it pleasurable to help people when they are in need,” explained Corporal Smith, a Youtuber who records himself and friends roleplaying as police officers. Smith uses GTA Online to handle things like mountainside crashes and even suspicious clowns. People can have problems in the game.“I enjoy being the one to point them in the right direction,” he said. Some, like Corporal Smith, say they want to join a real-life police force. 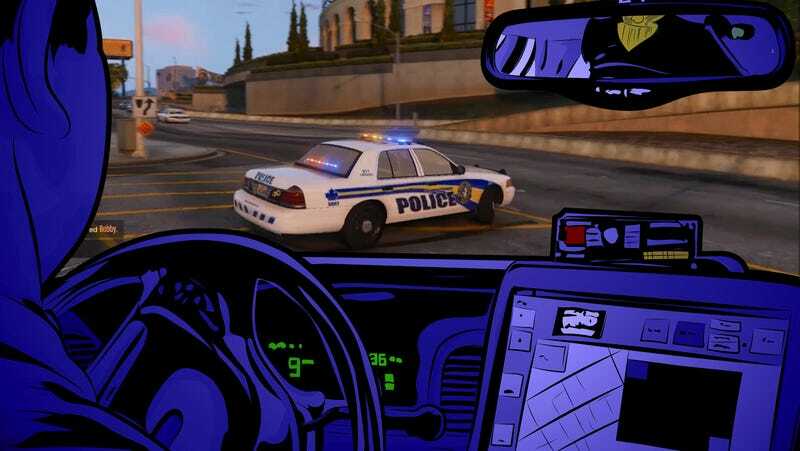 Smith explained that GTA V roleplaying was, in his mind, a way to help him experience some of the scenarios he might face as an actual police officer. DoctorGTA, SteveTheGamer and Corporal Smith are just three players who are part of a much larger police roleplaying community who upload videos that feel like episodes of Cops. Coincidentally, many roleplayers I spoke to were fans of that show. I should point out I only talked to a few GTA police roleplayers and can’t speak to the views of everyone in the scene. But spend enough time watching police roleplay videos and reading roleplaying tweets and you see that many players are living out a specific fantasy when it comes to being a police officer: cops vs. robbers, good vs. bad. Police roleplaying has been around long before GTA V. Players roleplayed as cops in GTA IV, where they’ve been setting up police groups for years. Before that, a mod for 2004's GTA: San Andreas, GTASAMP, allowed players on PC to take on the role of a police officer. 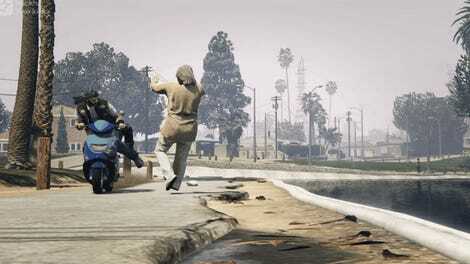 In 2013, a gamer named Herb got tired of GTA Online players’ tendency to shoot first and ask questions later. He played GTASAMP, and it inspired him to create something for GTA Online that had more structure and community. The result is the Life in Los Santos group, a group of roleplayers who try and create functional worlds filled with paramedics, drug dealers, cops, taxi drivers and more. Life in Los Santos now has over 300+ members and hosts roleplay sessions across PC, PS3, PS4 and Xbox One. That’s how I met ViceCity2012, the player who graciously allowed me to do a ridealong with him. We were in pursuit in an unmarked vehicle. What this really meant was that it was a standard car that looked like a black Crown Victoria. These are the types of conceits that roleplayers have to make sometimes, especially if they’re on consoles, where less modding is possible. Pulling up to a group of police and other roleplayers during my ridealong. After pulling up on the scene, ViceCity2012 got out of the car. I watched from inside as policemen walked around and spoke to each other. The voice chat was a bit hard to keep up with, but I made out that police were searching for a player known as “the Russian,” a criminal who was on a rampage after his in-game girlfriend got murdered by another player. On this server, death could be permanent. Hers was. Her character was not coming back. The person playing as the Russian used this as motivation and had opened fired on a officer. We arrested him for shooting a firearm. Outside of some verbal conflict, the arrest went smoothly. I was surprised to find that a lot of the moments I shared with the police roleplayers were more mundane than action-packed. A lot of officers just milled about, chatting and observing. It felt more believable than I was expecting, like a slow segment in an episode of Cops. As I drove more with ViceCity2012, the sun started to set in Los Santos. Only a few cars were still on the road. ViceCity2012 saw a van in the middle of the road, stops the police car and stepped out. There was already a cruiser parked in front of the van. The driver, a young woman, slurred her words and explained that she wasn’t drunk. The officers weren’t buying it. Police stopping a suspected drunk driver. Across the street a man yells at the police on the scene. Suddenly, across the street, another roleplayer walked out into the road. He was a civilian and was upset over the police asking the woman to step out and take a breathalyzer. The man began to yell. ViceCity2012 walked over to the man and tried to explain the situation, but the man had no interest in listening to him. Before ViceCity2012 could get the man off the street, a computer-controlled driver behind the wheel of a hatchback slammed directly into the roleplaying concerned citizen. Bam! He went flying, and the car took off. Despite being in a stern scenario only moments ago, ViceCity2012 and the other officer were too busy laughing to stop the car. The man who was just hit tried to improv some injured noises, but he couldn’t contain his laughter either. They were not taking their police roleplaying very seriously.